We are changing the lives of shelter dogs one meal at a time! Find out more about how you can help while getting something great for yourself or a friend! Each Decal Provides 2 Days of Food for Shelter Dogs! Your purchase helps feed shelter dogs in need throughout the USA. We are partnered with Rescue Bank to distribute food to shelters who really need it. For each decal purchased, we will provide 2 days of food to shelter dogs in need. 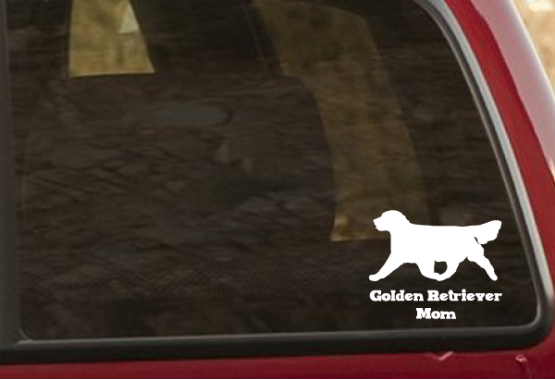 This vinyl golden retriever car window decal is for the proud golden retriever mom. There is a difference between being a dog owner and a dog mom. Show your pride in being a golden mom with this striking decal. It's the perfect addition to your car window to show your pride in your fur kid and it's made to last. Our decals are made from high quality OEM Grade UV Resistant Waterproof Vinyl with an outdoor life of 6+ years. This decal is intended for outdoor use so we recommend attaching it to the exterior of your window for the most striking result. Every decal provides 2 days of food for shelter dogs. Our goal is to feed as many shelter dogs as possible. They all deserve forever loving homes but until that day comes, it is our mission to keep their bellies full of food! For each decal purchased we will provide 2 full days of food for shelter dogs through our partnership with Rescue Bank. This is for each decal claimed! Shelter dogs are typically fed twice a day so this donation includes 2 meals/day for a shelter dog in need. Each meal makes a big difference in these dogs' lives. 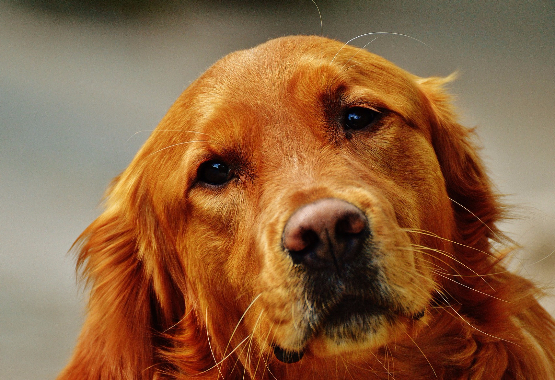 It is estimated that 3.9 million dogs enter shelters every year. Just one dog without a home is too many to us, so that's why we're fighting to feed as many shelter dogs as possible. The more food we can provide to shelters and rescues, the more they can use their resources to save more dogs. Our hope is that one day every dog will have a home with plenty of love and belly rubs, but until then, it is our goal to feed as many as possible. While it may not sound like a lot, one day of food can make a big difference! We hope you will join us in our mission to feed hungry dogs in need until they find their furever homes. You make what we do possible. Every single purchase matters and makes the difference for shelter dogs in need. Order now to make a difference! I have had goldens for years and have been looking for something like this. It looks great on the vehicle and has held up well to the weather we get here too. I will be buying more for my golden friends! Love the simplicity of this decal and the fact that it is helping feed dogs in need!! I love showing off that I am the mom of a perfect Golden Retriever! !